A weekend event opens up opportunities for supportive peer connections and spiritual growth for one teen. Mackenzie’s search for a community of friends who love Christian Science started in a trash can. Her mother, Aimee, had thrown away a DiscoveryBound Outreach flier inviting teens to a weekend event in Boston. “It looked interesting so I picked it up,” Mackenzie says. That changed when 15-year-old Mackenzie decided to fly to Boston for the weekend event. “I immediately made lifelong friends,” she recalls. “We did so many fun activities, such as visiting The Mother Church, taking a sunset harbor cruise and touring the city. Once she got home, Mackenzie says she couldn’t wait for the next DiscoveryBound Outreach trip. She attended the National Annual events in San Francisco in 2015 and, this year, in Washington, DC over Labor Day weekend. 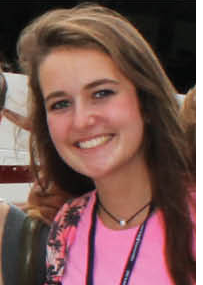 She also began attending a Christian Science camp and, last summer, worked as a counselor there. 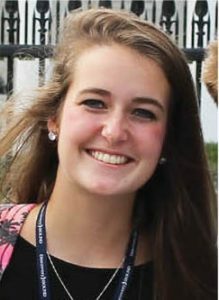 The DB Outreach event in Washington, DC opened another door for Mackenzie: She joined the DB Compass group, a one-year program focused on spiritual exploration and connection with Christian Science peers. 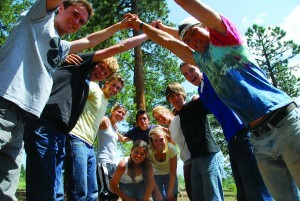 During the weekend, Mackenzie was one of four teens on the trip to join the group, which was having its first retreat. DiscoveryBound Compass is a one-year opportunity for Christian Science teens in high school, focused on spiritual exploration and connection with Christian Science peers.